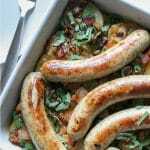 A take on the traditional Irish dinner Bratwurst and Potato Casserole is baked in the oven and made up of simple ingredients- bacon, bratwurst, and potatoes. 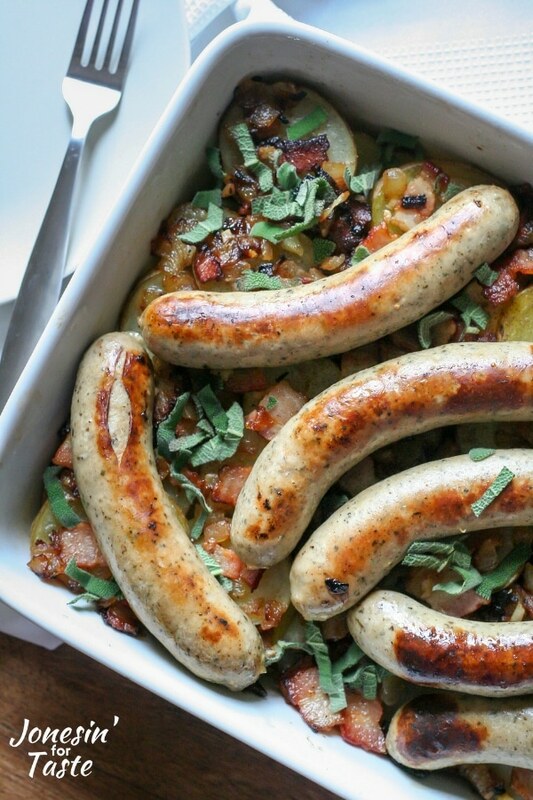 There is something so magnificent about a simple dinner made up of sausage and potatoes. 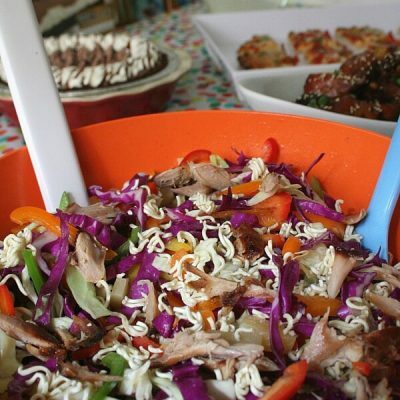 Although it does take some time to cook in the oven it is quite quick to put together so you can sit and enjoy a movie while it cooks. 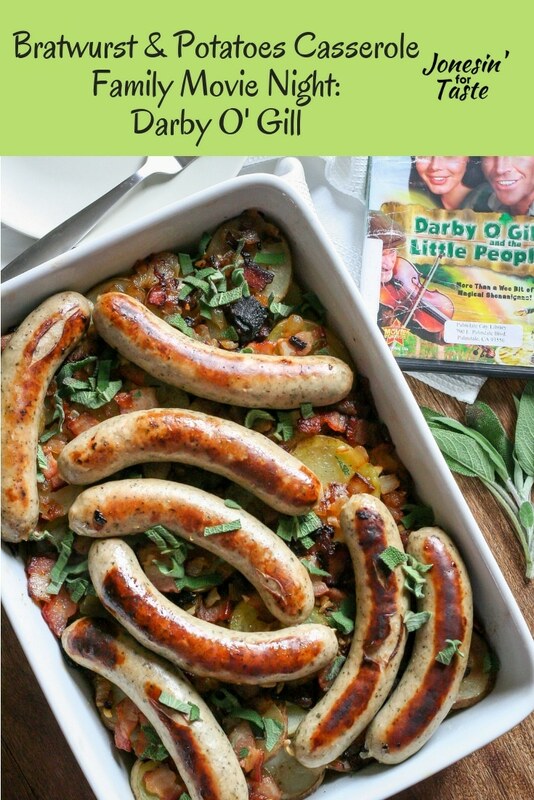 A fun Irish themed movie that goes with this dish is Darby O’ Gill and the Little People (featuring a young Sean Connery). My husband and I have read some of the original short stories that the movie is based on and they are quite fun. 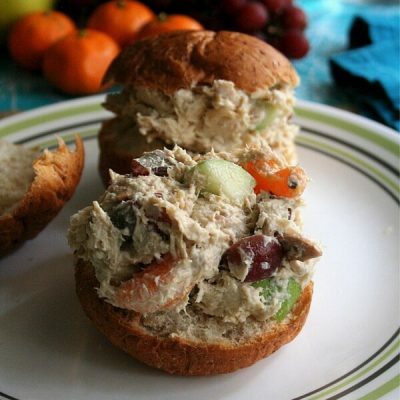 This recipes uses bratwurst although you can substitute for pork sausages. 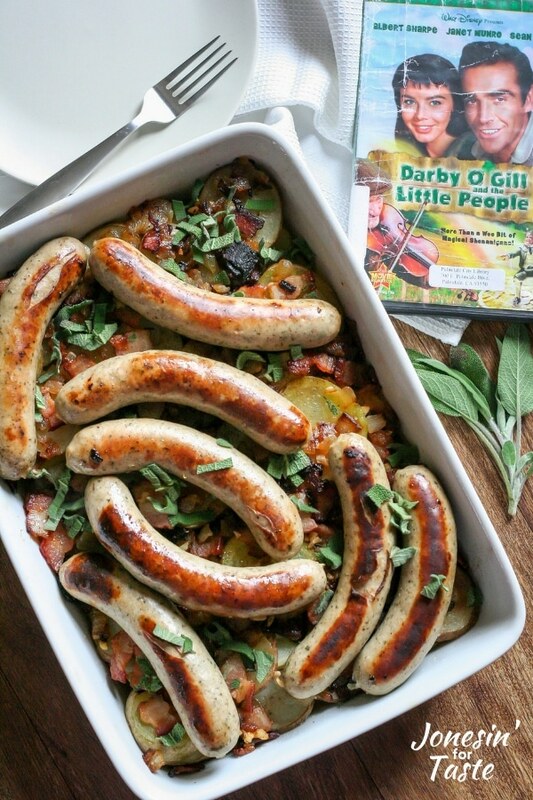 My kids happen to adore bratwursts and it’s nice that they can have something that resembles their favorite hot dog while my husband and I can enjoy a better flavor. Check out my guide to raising world food explorers for tips and tricks on introducing new foods to kids! 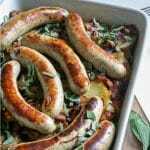 Bratwursts are good in so many recipes like this easy sheet pan dinner or sauerkraut, bratwurst and potato soup. 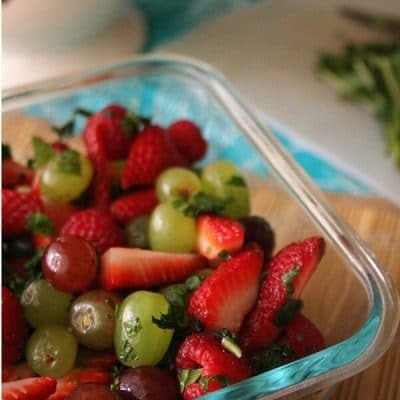 Preheat oven to 350 degrees F. Grease a large casserole dish. Distribute the sliced potatoes around the casserole dish. Set aside. Heat the oil in a frying pan. Add the cut bacon and cook for about 2 minutes. Add the chopped onions and cook for 5-6 minutes until onions are beginning to turn golden. Add garlic and cook for 1 additional minute. Spread the bacon and onion mixture over the potatoes. Season with salt, pepper, and sage. 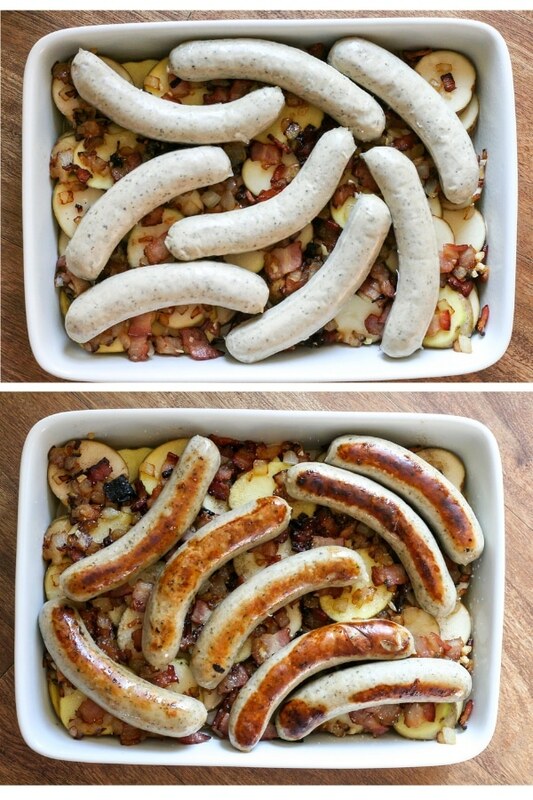 Meanwhile, in the same pan, cook the bratwurst for 5-6 minutes, flipping halfway through, until browned on each side. Add sausage to the casserole dish. Add the vegetable stock to the casserole dish and cover with foil. Bake for 50-60 minutes until potatoes are cooked through. We like to serve the bratwurst and potatoes with Irish Soda Bread and Honey Glazed Carrots. The potatoes can be sliced ahead of time. Cover the cut potatoes with water and keep in the refrigerator until ready to use. If I’m in a hurry I will use precooked bacon pieces that I get from Costco. Start cooking the onions and add the bacon after about 3-4 minutes. I get my bratwurst from Aldi and those are our favorite. 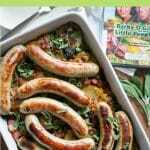 If you cannot find bratwurst you may substitute pork sausages (not the breakfast kind) for the bratwurst. 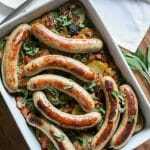 Add sausage to the casserole dish. Add the vegetable stock to the casserole dish and cover with foil. Bake for 50-60 minutes until potatoes are cooked through. Top with fresh sage if desired.